The Indian Media Business, Fourth Edition gives you detailed analysis, perspective and information on eight segments of the media business in India-print, TV, film, radio, music, digital, outdoor, and events. It presents the business history, current dynamics, regulation, economics, technology, valuations, case studies, trends (Indian and global) and a clear sense of how the business operates. 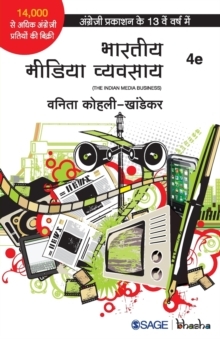 This book is a must-read for media professionals, students and for those planning to invest in the Indian media and entertainment business. 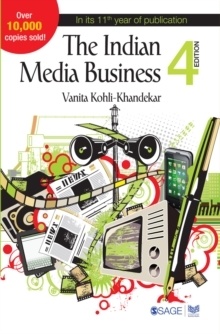 The outstanding feature of the fourth edition is a new chapter on digital media-arguably, the first ever look at digital media from a comprehensive business perspective. 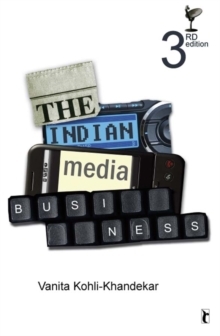 This looks at everything from history to business dynamics and the major issues digital media faces in India. This edition tackles regulation with more detail than any of the previous ones. There is one large case study on the quality of regulation in India and several caselets such as the ones on copyright law, defamation law and how it works for social media. This edition also contains more caselets than the previous editions. There are caselets on the changes in readership methodology, on the trouble with news broadcasting and on the rising power of Hindi newspapers and the impact of digital on both print and TV among others.